Bula! Hop aboard M.V. 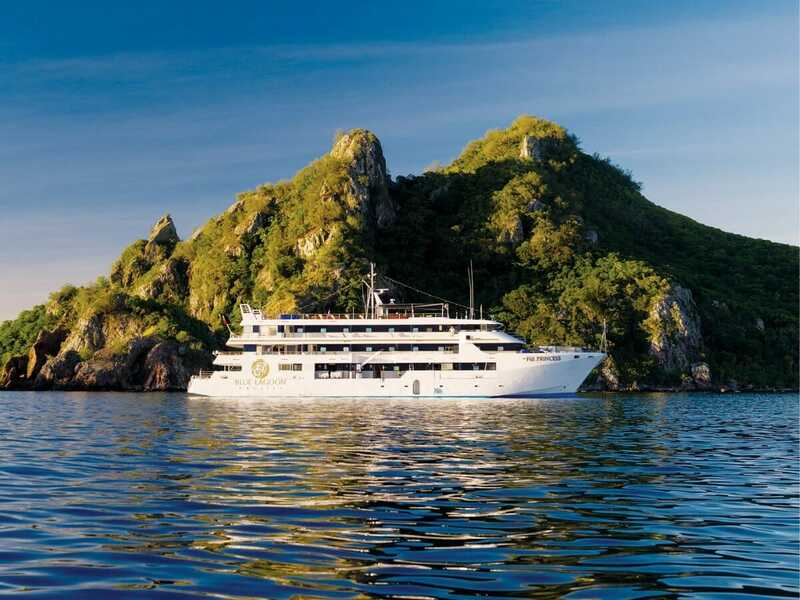 Fiji Princess by Blue Lagoon Cruises and enjoy 7 nights in an upgraded Orchid Deck Cabin. 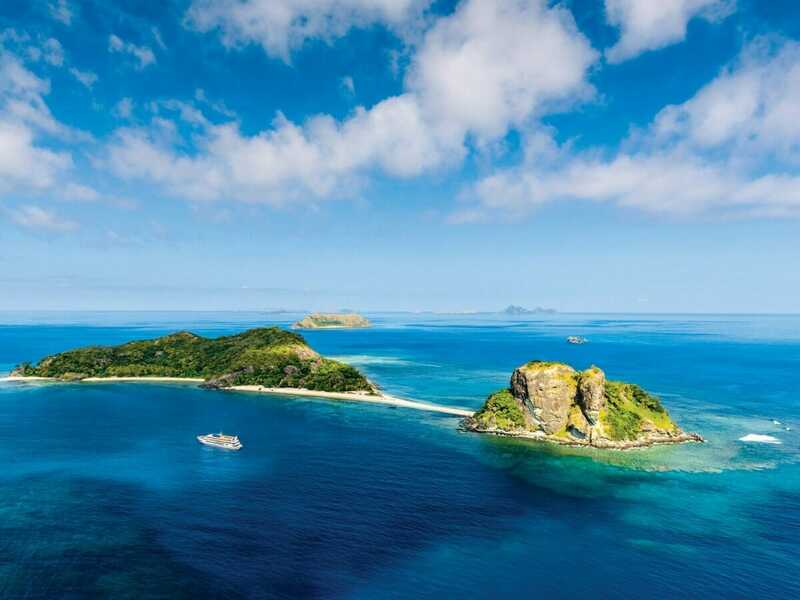 Escape to paradise and wake each morning in a different stunning location – from the palm-fringed Mamanuca and Naukacuvu Islands to the majestic Blue Lagoon and Drawaqa Island. Make lifetime memories of fun adventures and breath-taking sceneries. 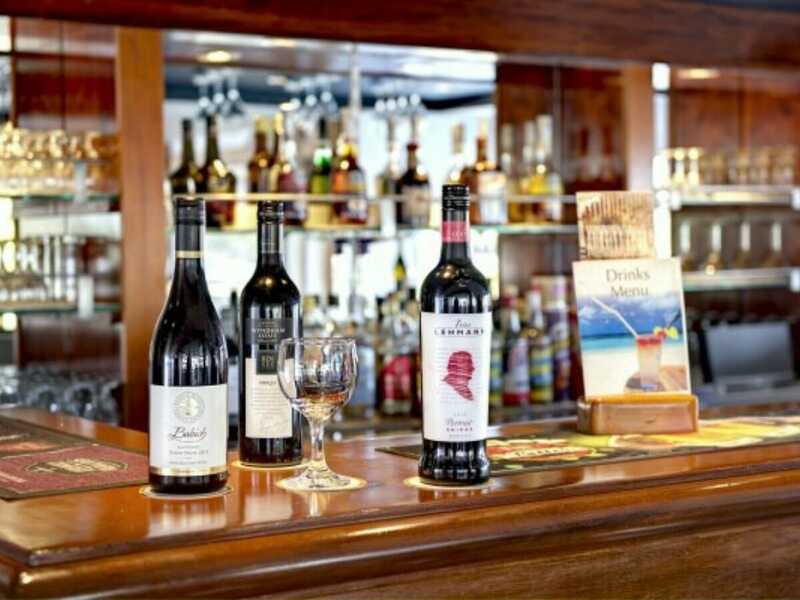 Breakfast, lunch and dinner are sorted – pull up a seat in any of the complimentary dining venues onboard and let us serve you while you enjoy a range of drinks on us. We all get a bit peckish after settling in on holiday, but don’t worry we’ve got you covered. Snack on a welcome fruit platter or grab something from the mini-bar – it’s restocked daily. Let us entertain you. Stay in the holiday spirit all cruise long with a variety of excursions and activities. Experience Fijian culture up close and personal when you cruise onboard the Fiji Princess this holiday. Make a splash this holiday. Dive into the underwater wonderland that surrounds Fiji. 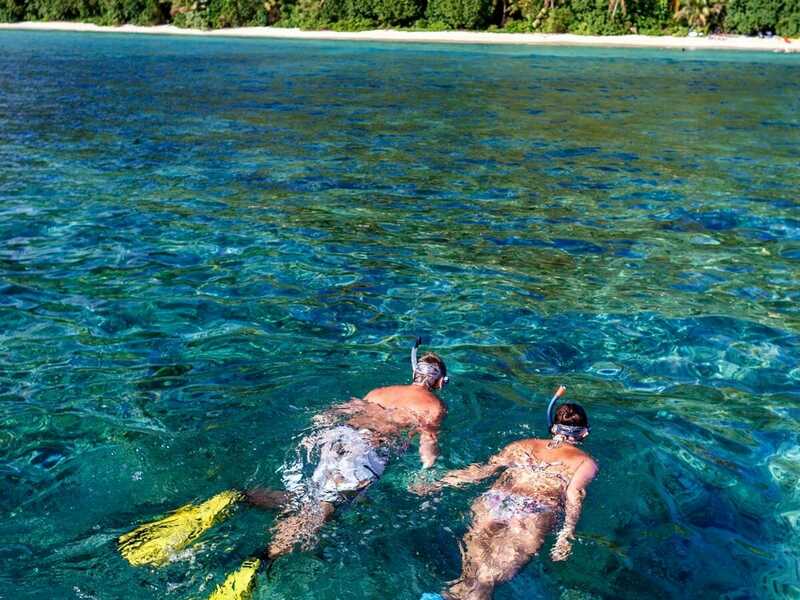 Make use of the onboard snorkelling equipment, and swim amongst some of the worlds best coral reef systems and the exotic marine life that call it home. Don’t feel like getting your hair wet? Stay on dry ground and be wowed by traditional Fijian entertainment. Don’t worry about how you’re going to get from A to B this holiday – we’ve got it covered with ship to shore transfers and entrance fees for all activities and village visits. 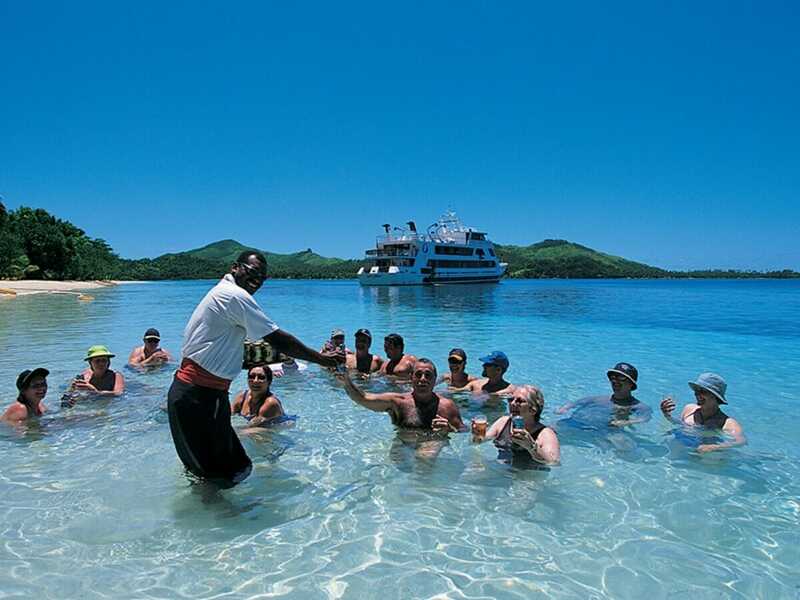 Say Bula to Fiji when you cruise with Blue Lagoon. Home to some of the world’s best coral reefs, tropical vegetation and white sand beaches, you’ll love spending 5 nights before your cruise in a 5-star resort with breakfast daily. Get more out of your cruise with FJD$200 spa and bar credit onboard the Fiji Princess. This 7travel extra is bound to sweeten your holiday experience. 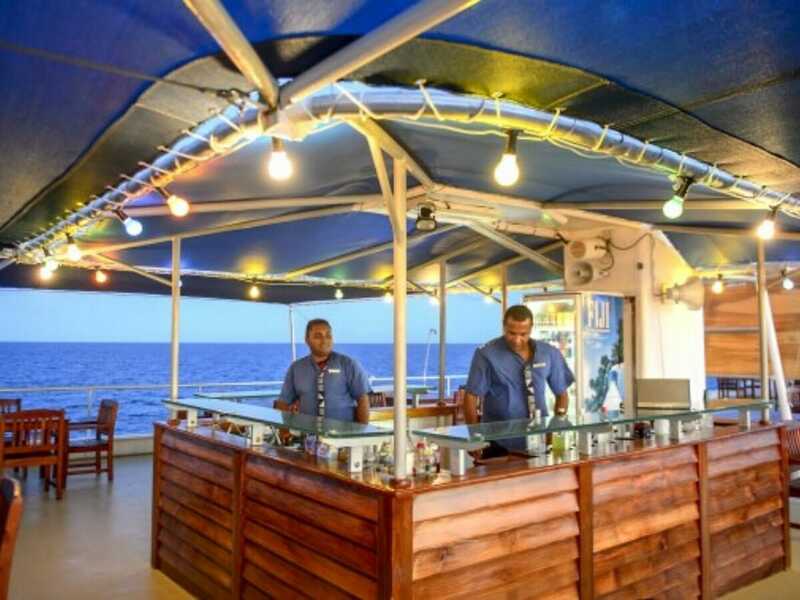 Kick off your cruise with a drink and some tasty treats. We’ve organised for complimentary cocktails and canapes on the first night of your cruise, so you can celebrate your holiday in style. Bula! Hop aboard M.V. 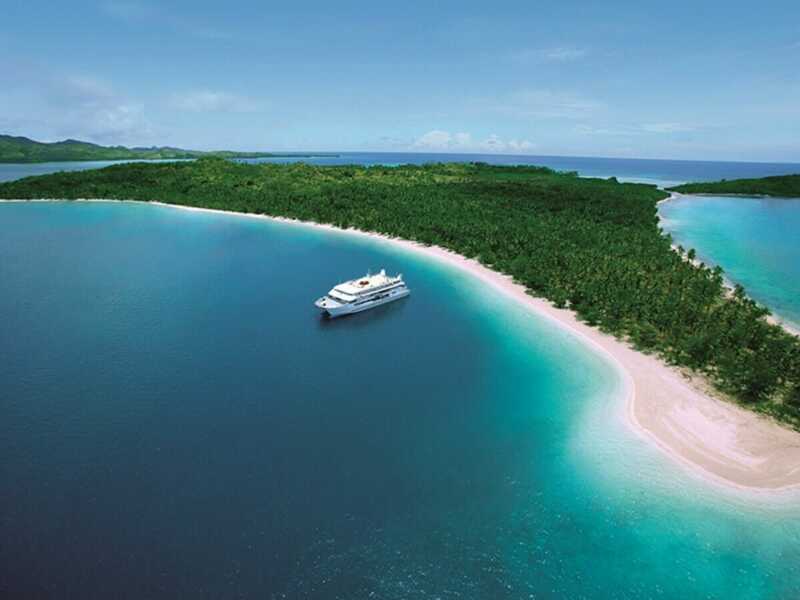 Fiji Princess by Blue Lagoon Cruises and spend each morning in a different stunning location. 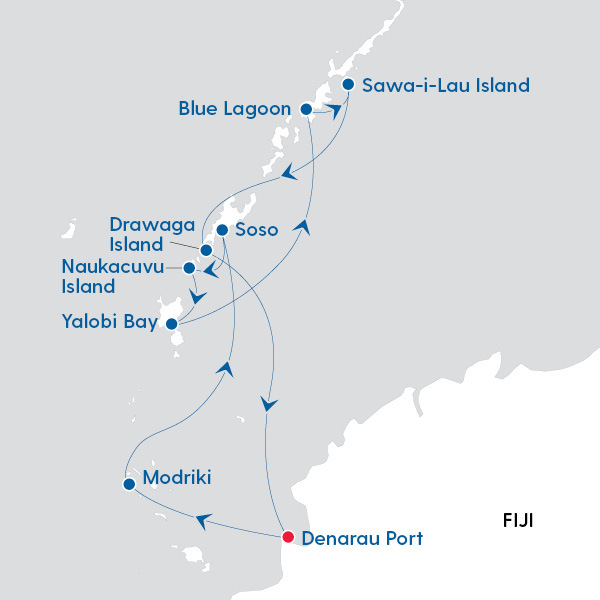 Escape to paradise on a 7-night cruise—from the palm-fringed Mamanuca and Naukacuvu Islands to the majestic Blue Lagoon and Drawaqa Island. Make lifetime memories of fun adventures and breath-taking sceneries. The M.V. 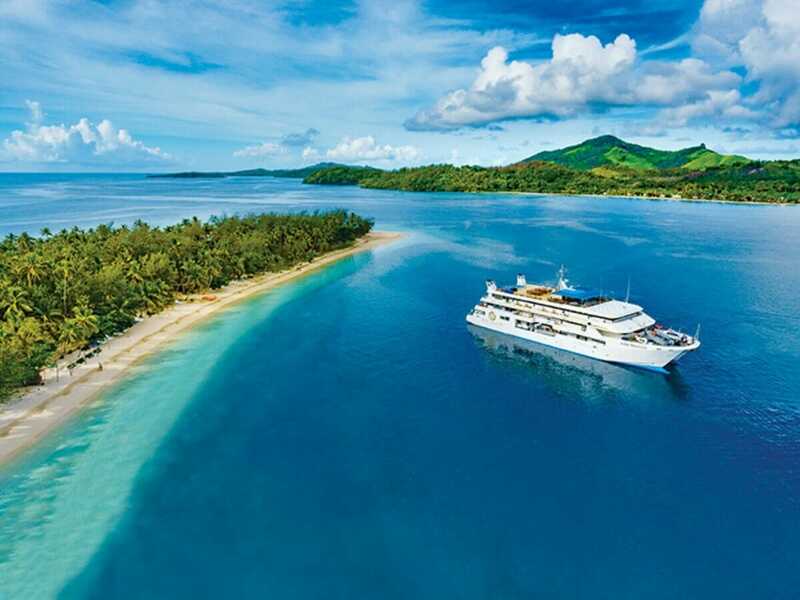 Fiji Princess, which departs from Port Denarau every week, boasts first-rate facilities. These include a sundeck, splash pool and an open-air dining area with 360-degree views of the sea. Blue Lagoon Cruises offers flexible cruising, ideal for a family holiday or couple’s romantic getaway. The cruise line prides itself on being one of the industry leaders with more than 70-years of experience under its belt. Blue Lagoon Cruises know all the best places to take you for a magical and unforgettable holiday experience. Flights may not be direct or operate daily. Itinerary and inclusions are subject to change. Disruptions to cruising and itinerary may occur. Accommodation is subject to change and availability.